Tiger Woods celebrated in style after returning to the winner’s circle and claiming a historic 15th major title at the Masters. 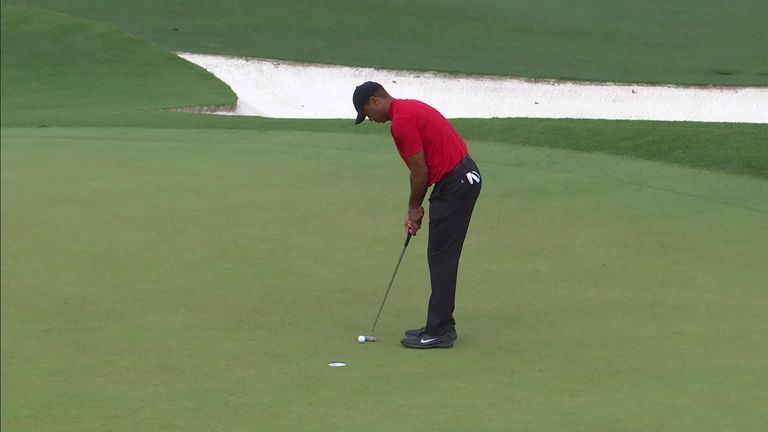 The former world No 1 found the right edge of the fairway off the final tee and then left his approach a long way short of the putting surface, before pitching onto the green with his third shot. Click on the video above to see Woods' winning moment and celebrations!